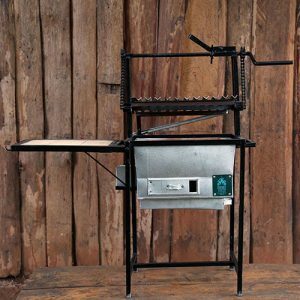 The ultimate energy saving portable charcoal oven. 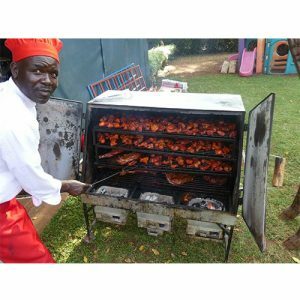 Used by 1000's of East African caterers, luxury safari camps and SME bakeries since 1996! We deliver all over Kenya and East Africa. Upon checkout, indicate exactly where you'd like the item sent and we can provide a shipping estimate. Our preferred couriers are Fargo, G4S and Modern Coast Bus. 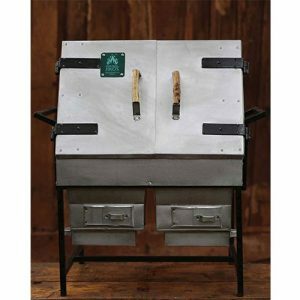 Nice and handy for camping, domestic use and for micro-baking businesses! You can fit 5 loaves of bread at once or 4 whole chickens and several potatoes. 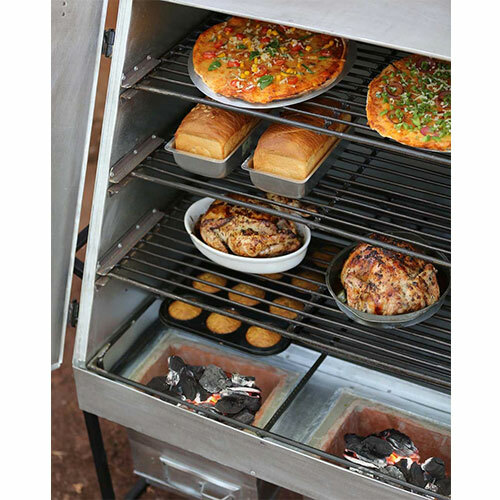 This oven is large enough for light commercial use and still perfect for a family oven. This one is our most popular designs and every Mum’s favourite! 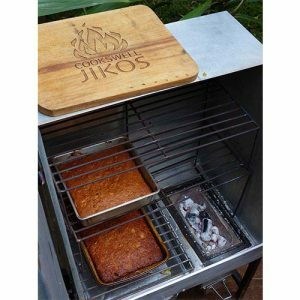 This is the right oven for a busy bakery, safari camp/tented camp (20-40pax) or nyama choma business. 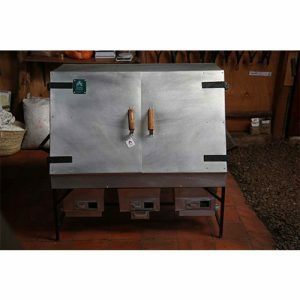 Features four extra strength shelves, two large ceramic fireboxes and heavy duty sheet metal. 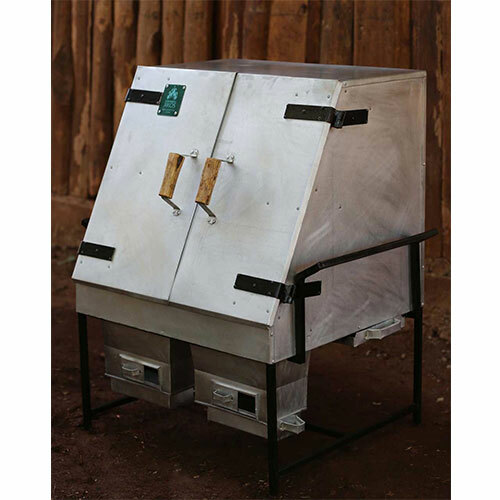 This can also be used as a smoker oven for hams, fish, poultry etc. 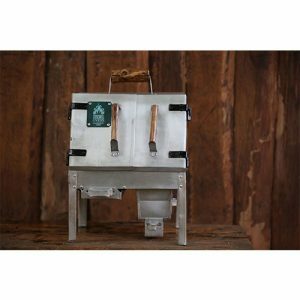 Approximate capacity of 22 loaves of bread, charcoal use of approximately 5-7 handfuls per hour. 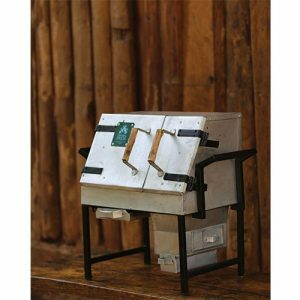 The ultimate portable safari charcoal oven – bake, roast, toast or steam using just a small handful or two of charcoal. 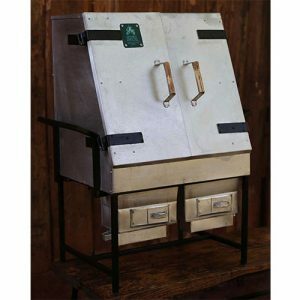 Sized just right for verandas, apartments, backyards and it fits perfectly in the car for safari. 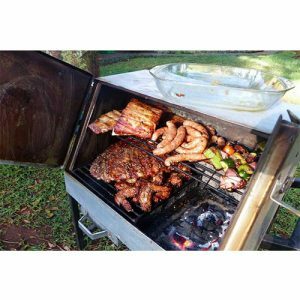 Cooks for 2-5 people – appx. 2 chickens or bakes 2 loaves of bread. 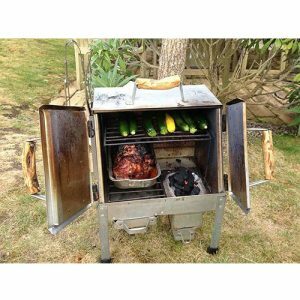 The most portable oven in the world! The mini safari bachelor sized jiko. 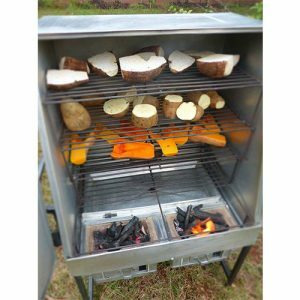 Perfect for cooking for up to 5 people, you can roast a whole chicken and some potatoes or make mini-pizzas with your friends. 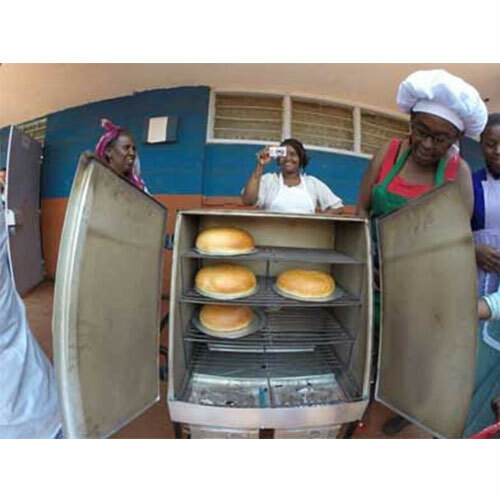 This oven can bake up to two 500 gm loaves of bread as well. 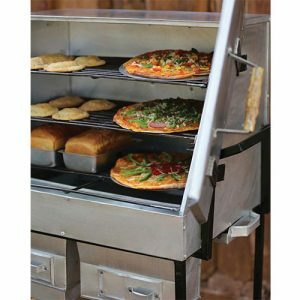 It has an easy to carry handle on its roof and will fit in the back of any car or even on a bicycle! The perfect SME or large family sized oven. 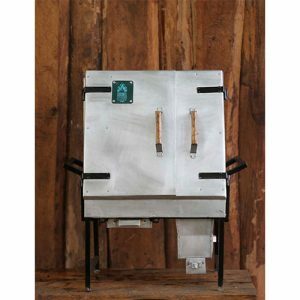 You can bake up to 20 loaves of bread or 4 large birthday cakes or even a goat and half!